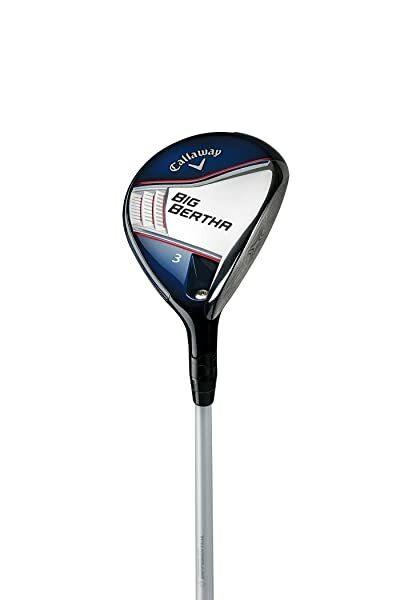 The Big Bertha is an exceptional fairway wood by Callaway that you will want to swing for a long time. Callaway uses some modern technologies to ensure that golfers get the best experience with this wood. They include a Hyper Speed Cup that makes sure you get maximum ball speed regardless of the point of contact and the Warbird Contoured Sole for getting the ball from uneven lies. 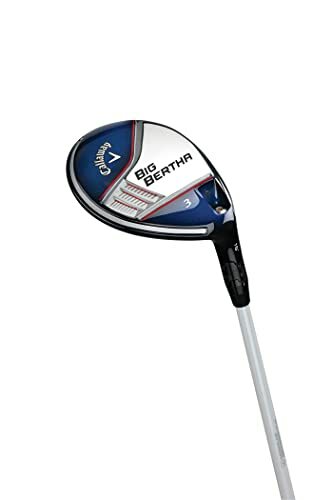 The Big Bertha is an exceptional fairway wood by Callaway that you will want to swing for a long time. Callaway uses some modern technologies to ensure that golfers get the best experience with this wood. They include a Hyper Speed Cup that makes sure you get maximum ball speed regardless of the point of contact and the Warbird Contoured Sole for getting the ball from uneven lies. Also, the Big Bertha has an Adjustable Hosel that makes it possible to customize your shots, an Internal Standing Wave with a lot of improvement and a Fubuki shaft from Mitsubishi which comes in Stiff, Senior and Regular flexes. Hyper Speed Cup: The Big Bertha features a Hyper Speed Cup on the head which is one of its main features. The Steel Face is lighter, thinner and more robust than what you get from other woods. This unique face maximizes the ball speed regardless of the point of contact and gives golfers consistent playability and distance. Warbird Contoured Sole: Big Bertha comes with a turf-riding soleplate with some unique contours, and it will be very helpful when trying to get the ball from uneven lies. Adjustable Hosel Technology: The adjustable hosel in this fairway woods makes it possible to customize your shots so as to get excellent results from each swing. You can increase or decrease the loft in one-degree increments so as to optimize the spin and launch angle. Internal Standing Wave: Callaway improves the Internal Standing Wave on this fairway to ensure that it locates the center of gravity precisely to provide consistent spin, launch, and distance across the club face. Shaft: Callaway gives this club a high performing Fubuki shaft from Mitsubishi The graphite shaft is lightweight which increases the transfer of energy for more ball speed, and it is available in three different flexes (Stiff, Senior and Regular). It comes with a lighter and more robust steel face cup than what you get from most other woods. The adjustable hosel makes it possible to increase or decrease loft. This club has a larger head that is also more stable than most other fairway woods. The turf-riding soleplate makes it glide through the turf effortlessly. It is very forgiving and with a high MOI thanks to the large head. This fairway makes it easy to shape shots. It has an excellent overall feel during the swing. The grip is small for golfers with bigger than average hands. Some golfers complain that the stiff shaft is a little flimsy. It is quite a pricey fairway wood. There are also some criticisms about the durability with some players complaining that the head dents easily. The Big Bertha is one of the best fairway woods that will always compliment any golf club set. 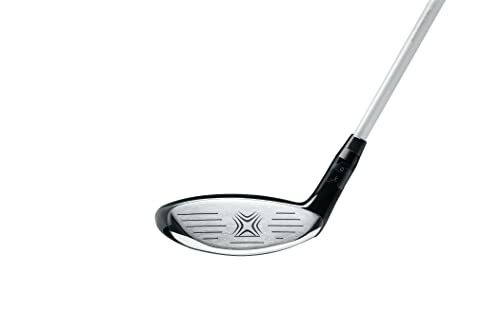 Callaway uses some modern technologies to make it an easy to hit and very forgiving golf club. Also, the large head makes it very stable and also increases the MOI and forgiveness. And if you factor in the adjustable hosel you have an outstanding wood that is worth trying out. Although Big Bertha’s price tag is a little on the higher end and there are a few complaints about the grip and the shaft feeling a little flimsy, it is still a top notch fairway.